Who would win in a fight, Master Chief or a Warlock? While Halo and Destiny fans could probably argue stats for days, everybody wins with this hilarious video that actually imagines what that fight would look like. This sketch, presented by Freakin Rad, finally brings together the Spartans and the Guardians for a knock down, drag out fight filled with less than relevant, but funny references and goofy antics. The video itself is pretty entertaining. The special effects look fantastic, and the amount of time and work that went into the project is obvious. However, there’s something in it that’s more impressive than the production value. 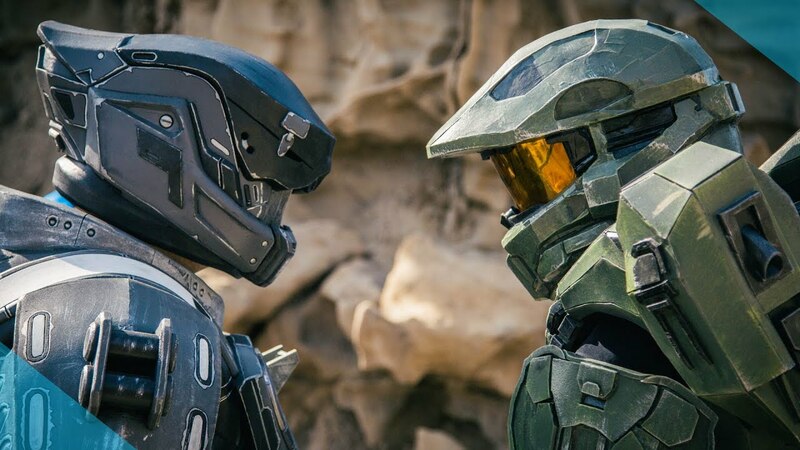 Some incredible Destiny and Halo cosplay. This cosplay is a level up from anything you might see at your local comic con. Not only does it look good from a distance, it looks incredibly authentic close-up. One of the biggest concerns when it comes to full body armor is the cosplayers ability to move while in costume and it looks like these guys still have a full range of motion. Everyone knows your cosplay is only as good as your props. Everything from their weapons to their, admittedly non-canon, boom box looks incredibly detailed. These cosplayers did not overlook a single detail, no matter how minuscule. While the actual fight may be a little more silly than serious, the video is definitely worth a watch. But c’mon, let’s be real, none these guys have anything on a Sith Lord.